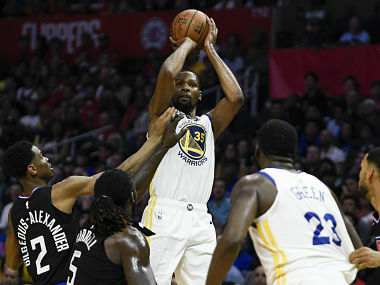 Despite playing without LeBron James, the young Los Angeles Lakers were giving a brave fight to a full-strength Golden State Warriors. Golden State-star-studded and all-were only up by two, 88-86, at the end of three quarters. It had been an underwhelming performance so far, chiefly because the Warriors' star Steph Curry only had 2 points in the game, shooting 0-8 from the field. Before the start of the fourth quarter, Warriors' coach Steve Kerr was asked about Curry's start, and he responded: "We're going to trade him. I've had enough of that guy." Kerr said it with a straight face before breaking into a slightly sheepish smile. But the reporter, and everyone in the arena, and everyone watching on TV, and everyone else in the basketball world knew he was only joking. Trade Stephen Wardell Curry, the heart and soul, the long-serving franchise star, the two-time MVP, the three-time champion, the greatest three-point shooter in the game's history, the man partially responsible for championships for the Warriors in three of the past four years? Ha! Kerr could afford to joke about Curry. As the 2019 season pushes past its midway point, he's one of the few, rare stars in the league who's place with his team is completely safe. There is a typhoon ravaging across the NBA, uprooting players and teams apart, causing discontentment and distrust. Almost no player is happy where they are, and almost no team is happy. From the rumours of Anthony Davis' future to Kawhi Leonard to everyone in the Lakers to Kyrie Irving to the Wizards and to Curry's own teammate Kevin Durant, it seems like everyone is looking for a better option, pushing for the faceless future instead of revelling in the present. 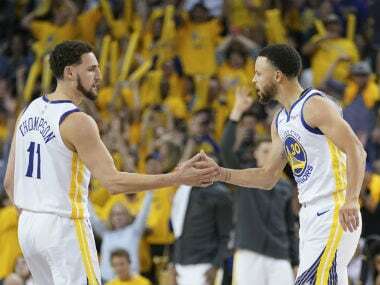 Curry's Warriors are partially responsible for this discontentment: their dominance over the current era has made everyone hope to emulate their assembly of multiple stars, or plan ahead for a time after their dominance. In the current NBA landscape, the only constant is change. Davis, one of the most gifted players of this era, is understandably the centrepiece of this maelstrom. Rumours of his restlessness were in the air all year as the Pelicans failed to take the next step forward, and that was before he signed a contract with the Klutch Group, the same agency that represents LeBron James. No one was surprised then, as, two weeks before the trade deadline, Davis's agent made a public trade demand, and it was the LeBron's Lakers that made the loudest noise in trade negotiations. The ripple effects of Davis's demand are being felt all across the league. 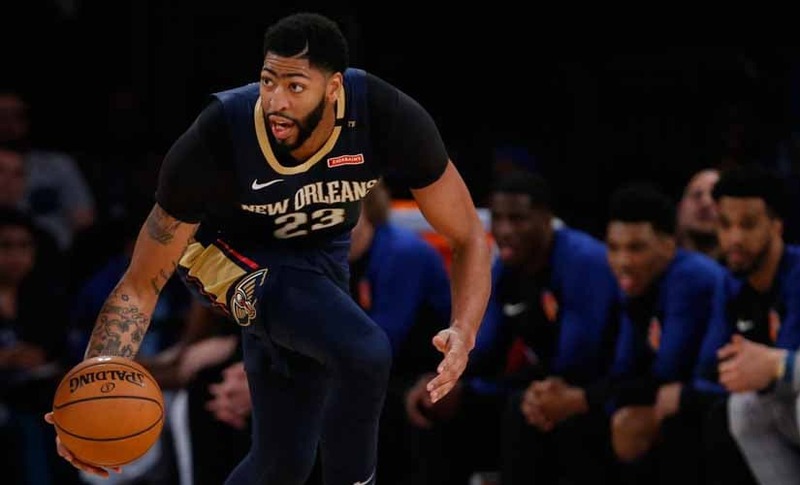 If the Pelicans know that Davis won't re-sign with them, the smart move for them will be to trade him to get back adequate value for the superstar big man. If they make a trade for young players and picks, would it then serve them to make a complete restart, and trade away their guard Jrue Holiday, too? Nowhere has the 'great unsettlement' been more toxic than the Lakers, where seemingly everyone except LeBron himself had their bags packed halfway to New Orleans before the trade deadline. Young players (Lonzo Ball, Brandon Ingram, Kyle Kuzma, Josh Hart) or veterans (Michael Beasley, Lance Stephenson, JaVale McGee, Rajon Rondo), nobody is safe. 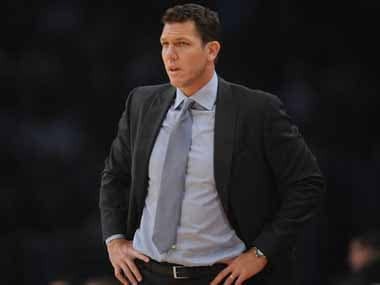 Even head coach Luke Walton's job-security has been as shaky as LeBron from the free-throw line. But other teams have been Davis Dreamin', too. Boston, who arguably have the best mixture of assets (talented young players and future picks) can't trade for Davis until the summer, after Kyrie Irving's current contract expires. But will Davis even wait for them? And what of Irving, who has recently been rumoured to the Lakers, too, ever since his rekindled old friendship with LeBron; or even rumoured to the Knicks, who now have enough cap space and intention to bring him over next summer. No matter where he ends up, Davis is going to become a free agent in 2020, and this whole saga will continue. The Knicks-long maligned-caused some disturbance around the league when they traded their franchise star Kristaps Porzingis to Dallas, along with the contracts of Tim Hardaway Jr. and Courtney Lee, to create cap space. By the summer, the Knicks will have enough space to sign multiple players on max contracts. It's an ambitious risk, and the biggest upcoming free agents in the league are reportedly in their sights, including Irving, and most importantly, Kevin Durant of the Warriors. Durant has won two consecutive titles and is the favourite to win a threepeat with Golden State this year. He is one of the central stars of a team that could be remembered as the greatest ever. He is blessed with talented teammates that everyone in the league would love to play with. And yet… the rumours about his uncertain future persist. Fans have still not forgiven Durant for joining a historically-stacked team and making them virtually unbeatable. His accolades haven't silenced all the critics, or made him universally adored. His 'unsettlement' may not be based on wanting more-what more could he want that these Warriors?-but wanting something different. A different challenge. A chance to prove himself in a new team. The Knicks hope to be that team. So do the Clippers. And the Lakers. And the Nets. The Mavericks. Or the Heat. Or how wild would this be-the team he scorned behind: the Thunder. Or perhaps this is all misdirection, and he is more than happy to continue to make history, and he'll continue to be a Warrior, for next season, and the next. Durant isn't the only Warrior with a hazy future looming ahead. Sharpshooter Klay Thompson will be a free agent, too, and his hometown Lakers or Clippers could come calling. DeMarcus Cousins-recovering from his Achilles' injury will surely be too expensive for the Warriors to afford next season and will hope to make his next payday elsewhere. In a year, Draymond Green will start wondering about his future, too. Durant's next move, LeBron's decision to join the Lakers, Davis's trade demand, Kyrie's opaque answers about his future, and more such uncertainties signal towards what has generally been a positive trend in the NBA: the autonomy of top players to steer their own career. LeBron set the blueprint with his 'Decision' to join the Miami Heat in 2010, to return to Cleveland in 2014, and then to head to the Lakers in 2018. In Cleveland, he signed short-term contracts to keep his future flexible, a tactic that has since been employed by Durant in Golden State, too. The top players are the league's most valuable commodity and have earned the right to dictate their own terms. While teams preach loyalty and continuity, the nature of the business has shown that loyalty to be a hollow promise: in many instances-most famously the way the Celtics traded Isaiah Thomas to Cleveland-teams are willing to move on from players whenever the circumstances suit them. Now, the players are fighting back. But this trend has led to a culture of mutual distrust between team and player, where neither is sure if the other is truly committed to a fruitful long-term relationship. Circumstances have to be perfect-a winning culture, financial satisfaction, health, good teammates, a player's personality that matches the city he lives in-and only then does one get a rare certainty as Curry earned with the Warriors. Only a handful of other players can feel that certainty right now. Russell Westbrook and James Harden, who are both enjoying lucrative long-term contracts with their teams and playing at a high level, could count themselves 'safe' with the Thunder and the Rockets respectively. The 76ers are stacked with good players, but perhaps Joel Embiid-the embodiment of 'The Process' and a fan-favorite-is the only true centrepiece. Young players like Luka Doncic and Nikola Jokic can probably consider themselves to be settled-for now-while they are 'growing' in the league and expectations are low. Almost everywhere else, there's flux, or potential for flux. In the coming months, the futures of Durant, Davis, Irving, Leonard, Jimmy Butler, Kemba Walker, Klay Thompson, DeMarcus Cousins, Tobias Harris, Mike Conley and many more will be up in the air. Once thought impossible, Tony Parker started this season in a Hornets jersey rather than the Spurs. The Spurs lost Leonard in the same offseason to Toronto for the Raptors' 'franchise' guy, DeMar DeRozan. Marc Gasol – a career 'one-team' player in Memphis – was traded to Toronto right before the deadline. Over in Washington, the Wizards finally made a move to ship out Otto Porter Jr., and Bradley Beal will continue to be in trade rumours. This flux will create storylines until the end of the season, hang heavy during the playoffs, and maybe even overshadow the Finals. It will make the off-court action as heated as the game on-court. Are the young players in Boston (Taytum, Brown) really safe, or are they a trade chip away from Davis? Does Ben Simmons really make sense on court with Embiid, or the 76ers have to sacrifice him for another piece someday? And what about Markelle Fultz? Damian Lillard has been in trade rumours before. Giannis Antetokounmpo is playing at an MVP level for the Bucks, but if he isn't successful in the playoffs, will he, too, dreaming of playing in a 'big market' with other star players someday? How long will Donovan Mitchell, Karl-Anthony Towns, or Devin Booker remain patient with their teams? LeBron has a long-term contract with the Lakers, but everyone knows that he is the league's most powerful, independent mover-and-shaker, capable of spin-moves that could blind-side his team at any point. Beyond the stars, the league's role players already live this life of uncertainty. They've always known themselves to be expendable, as auxiliary pieces, often used by teams as salary cap fillers, or as contracts to sign and release. A lot of the scenarios listed above are admittedly far-fetched. But in today's NBA, all that matters in causing unrest is the rumour of unrest. The gatekeepers of the breaking news, like Adrian Wojnarowski or Shams Charania, will broadcast the drama to a hungry audience, impatient for transactions and new possibilities. The "inside source" has become a powerful force in the NBA. Some players pass on their future intent via their agents to the Wojs and Shams of the world. Some agents 'create' drama to up the ante for the players, to make teams over-inflate their value. Sometimes, the media itself plays anarchist, creating rumours to keep the 24/7 news-cycle going. And the fans love all of it. The new NBA is as much about imagined rosters than real ones. It's about imagining LeBron and AD (and maybe Kyrie) dominating for the Lakers. Maybe Klay is there, too. Or about Kyrie and AD in Boston. Or KD and Kawhi in the Clippers. Or KD and Kyrie in the Knicks. Or maybe the Nets. And then, there is the abstract beauty of future draft picks, valuable only in their uncertain potential. The Celtics have a lot of them. The Knicks have their own and some future ones. The Cavaliers, Hawks, Suns, and Bulls, along with the Knicks, are hoping to be as terrible as possible to score a top player for the next season, imagining that they could be the ones to strike lucky in the lottery. Yes, those picks don't mean anything right now, but they could mean Zion Williamson or Ja Morant or RJ Barrett. They could mean everything. A number one draft pick could mean a LeBron James, or a Kyrie Irving, or an Anthony Davis, the type of player teams covet for, the type of player that can change a franchise forever-or for a few years. But even the draft is an inexact science. Like how in 2009-almost exactly ten years ago-six teams overlooked Stephen Curry before he fell to the Warriors. Before he became one of the league's biggest stars and most valuable players. Before he became a player so synonymous with his franchise that his coach could openly joke about trading him without consequence. Not long after Kerr's interview, Curry was reinserted to the game in the fourth quarter. He probably got the message, or perhaps, he was just tired of the Lakers sticking around. In less than six minutes of action, Curry hit a finger roll, then two three-pointers, then two more lay-ups, and suddenly, the game was over. As he had done so often for nearly a decade, Curry led the Warriors to another comfortable win. Nothing seems to change in the relationship between Curry and the Golden State, but is it too far-fetched to imagine a near-future when Durant leaves, and so do Thompson and Cousins, and Green isn't an elite player anymore, and after racking up championships, Curry decides to look 'home'? To Charlotte, where he grew up, and where he will be putting on a show for the All-Star Weekend? Everything changes. Everyone leaves. When Dirk Nowitzki retires at the end of this season, he would be in a rare breed of stars to have spent their entire career (21 years) with the same franchise. His era had other such players, too, like Kobe Bryant and Tim Duncan. But times have changed now, and that sort of loyalty between player and team is nearly impossible. Even in an unsettled association, however, it's surely too wild to think of Curry in anything but a Warriors jersey.